Mariah Carey pays tribute to Whitney Houston onstage during the 2012 BET Awards at The Shrine Auditorium in Los Angeles. 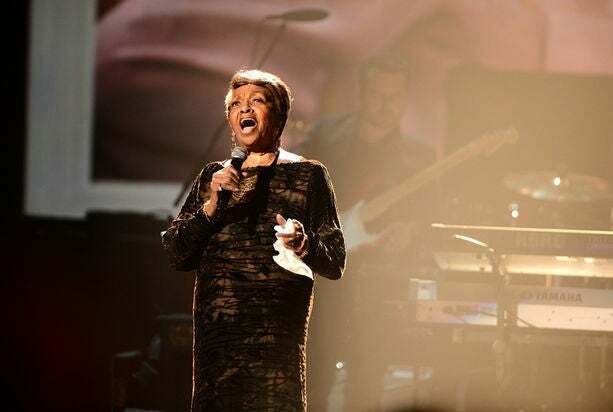 Cissy Houston performs a tribute to her late daughter Whitney Houston during the 2012 BET Award in Los Angeles. 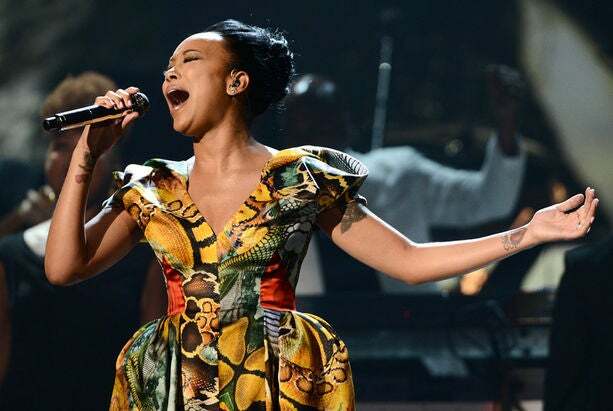 Monica pays tribute to the late Whitney Houston during the 2012 BET Awards at The Shrine Auditorium in Los Angeles. 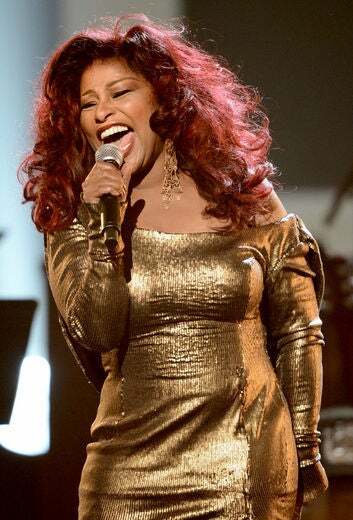 Chaka Khan performs a tribute to Whitney Houston onstage during the 2012 BET Awards at The Shrine Auditorium in Los Angeles. 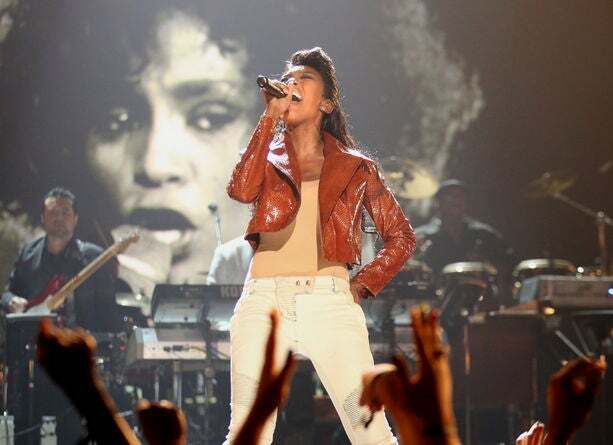 Brandy Norwood pays tribute to the late Whitney Houston during the 2012 BET Awards at The Shrine Auditorium in Los Angeles. 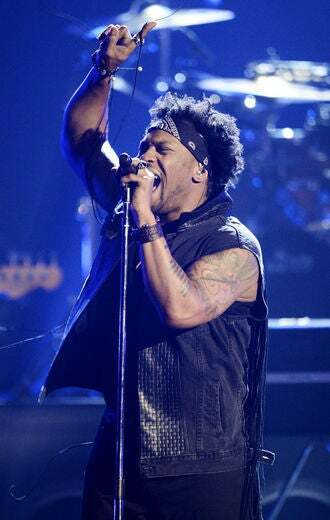 D’Angelo performs onstage during the 2012 BET Awards at The Shrine Auditorium in Los Angeles. Beyoncé attends the 2012 BET Awards at The Shrine Auditorium in Los Angeles. ESSENCE Music Festival artist Melanie Fiona performs onstage during the 2012 BET Awards at The Shrine Auditorium in Los Angeles. 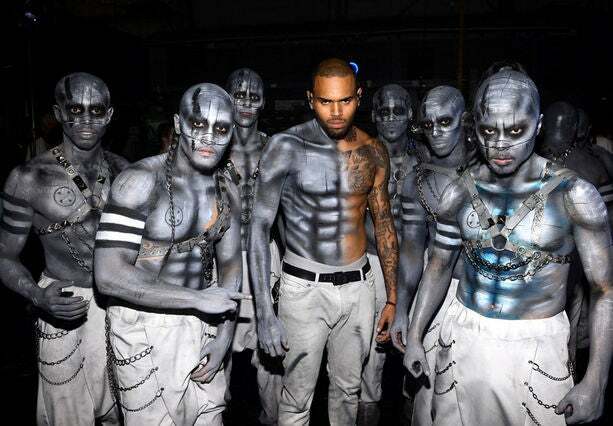 Chris Brown and dancers backstage at the 2012 BET Awards at The Shrine Auditorium in Los Angeles. 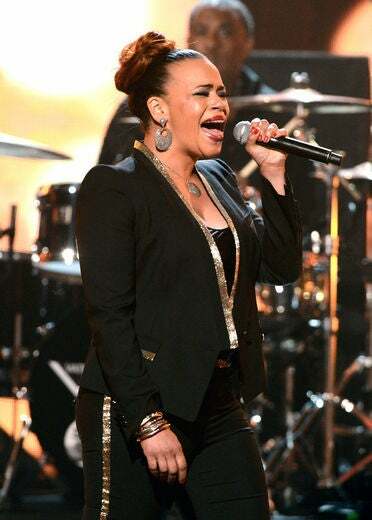 Faith Evans performs onstage during the 2012 BET Awards at The Shrine Auditorium in Los Angeles. Angela Bassett wears a THEIA lace dress at the 2012 BET Awards at The Shrine Auditorium in Los Angeles. Kerry Washington arrives at the 2012 BET Awards at The Shrine Auditorium in Los Angeles. 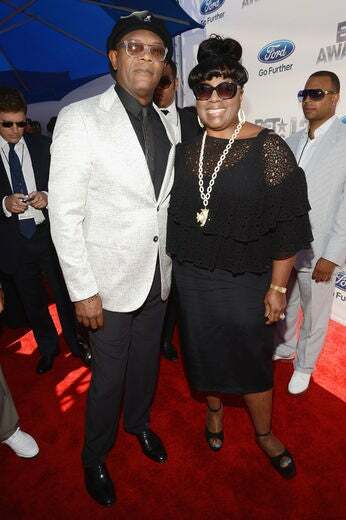 Samuel L. Jackson and Latanya Richardson arrive at the 2012 BET Awards at The Shrine Auditorium in Los Angeles. 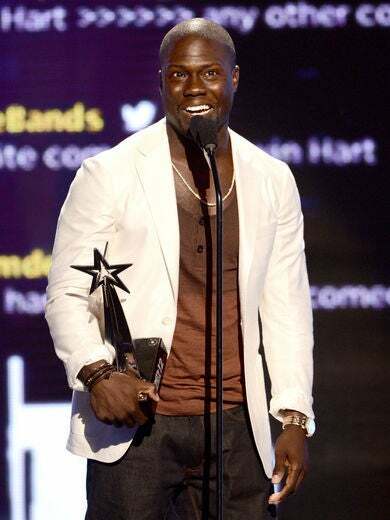 ESSENCE Music Festival performer Kevin Hart accepts the award for Best Actor onstage during the 2012 BET Awards at The Shrine Auditorium in Los Angeles. Nicki Minaj performs onstage during the 2012 BET Awards at The Shrine Auditorium in Los Angeles. 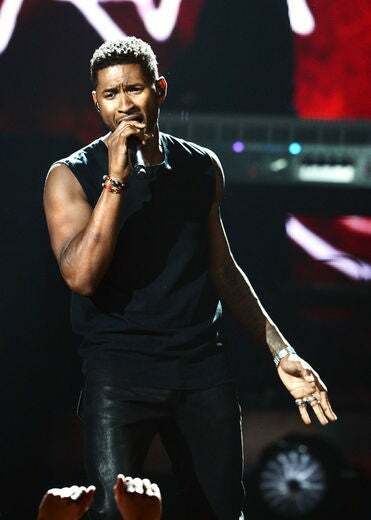 Usher performs onstage during the 2012 BET Awards at The Shrine Auditorium in Los Angeles. Taraji P. Henson arrives at the 2012 BET Awards at The Shrine Auditorium in Los Angeles. Regina King arrives at the 2012 BET Awards at The Shrine Auditorium in Los Angeles. Chaka Khan arrives at the 2012 BET Awards at The Shrine Auditorium in Los Angeles. 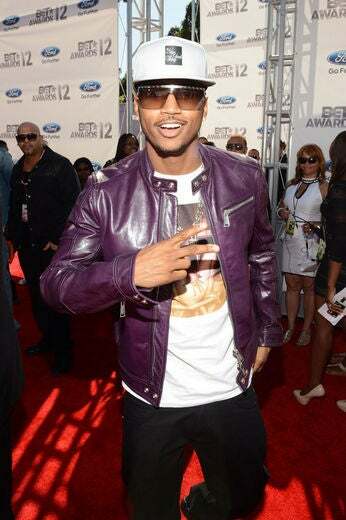 ESSENCE Music Festival artist Trey Songz arrives at the 2012 BET Awards at The Shrine Auditorium in Los Angeles. Jamie Foxx arrives at the 2012 BET Awards at The Shrine Auditorium in Los Angeles. 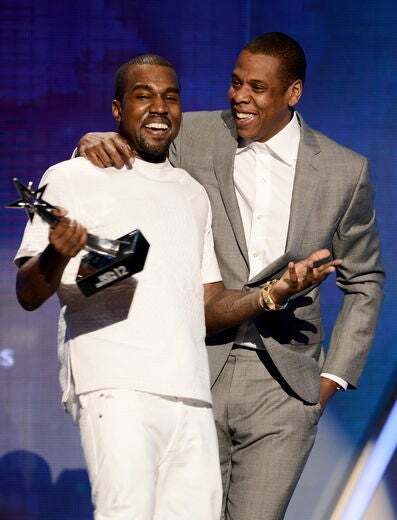 Kanye West and Jay-Z accept the Best Group Award onstage during the 2012 BET Awards at The Shrine Auditorium in Los Angeles. Chante Moore performs onstage during the 2012 BET Awards at The Shrine Auditorium on July 1, 2012 in Los Angeles. Monica arrives at the 2012 BET Awards at The Shrine Auditorium in Los Angeles. 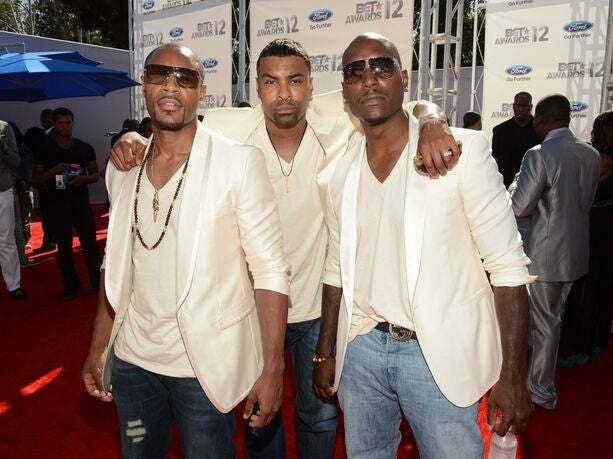 ESSENCE Music Festival artist Tank, Ginuwine and Tyrese arrive at the 2012 BET Awards at The Shrine Auditorium in Los Angeles. ESSENCE Music Festival performer Yolanda Adams arrives at the 2012 BET Awards at The Shrine Auditorium in Los Angeles. ESSENCE Music Festival artist Marsha Ambrosius arrives at the 2012 BET Awards at The Shrine Auditorium in Los Angeles. 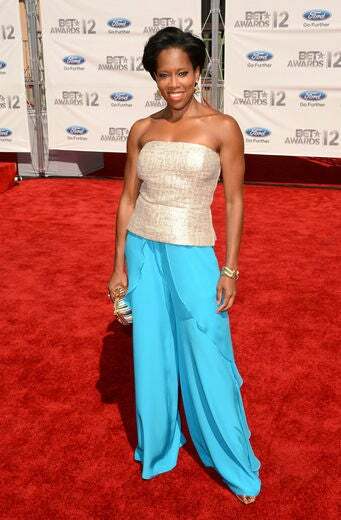 MC Lyte arrives at the 2012 BET Awards at The Shrine Auditorium in Los Angeles. Boris Kodjoe arrives at the 2012 BET Awards at The Shrine Auditorium in Los Angeles. Meagan Good arrives at the 2012 BET Awards at The Shrine Auditorium in Los Angeles. Lala Anthony wears Lois London at the 2012 BET Awards at The Shrine Auditorium in Los Angeles. Letoya Luckett arrives at the 2012 BET Awards at The Shrine Auditorium in Los Angeles. Laz Alonso arrives at the 2012 BET Awards at The Shrine Auditorium in Los Angeles. Michelle Williams arrives at the 2012 BET Awards at The Shrine Auditorium in Los Angeles. Tatyana Ali arrives at the 2012 BET Awards at The Shrine Auditorium in Los Angeles, California. Selita Ebanks wears a Falguni and Shayne dress with Giuseppe Zanotti shoes and clutch at the 2012 BET Awards at The Shrine Auditorium in Los Angeles. Tamia arrives at the 2012 BET Awards at The Shrine Auditorium in Los Angeles. Eva Marcille arrives at the 2012 BET Awards at The Shrine Auditorium in Los Angeles. 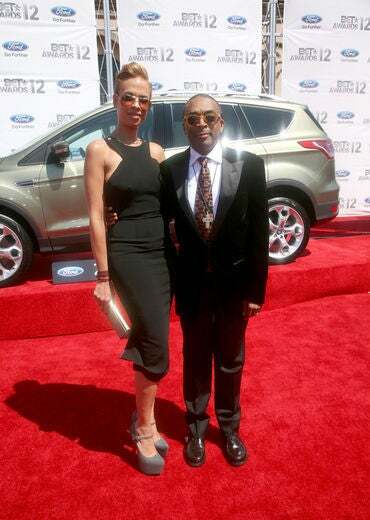 Spike Lee and wife Tonya Lewis Lee arrive at the 2012 BET Awards at The Shrine Auditorium in Los Angeles. Toccara Jones arrives at the 2012 BET Awards at The Shrine Auditorium in Los Angeles. Luke James and guest arrive at the 2012 BET Awards at The Shrine Auditorium in Los Angeles. Joyful Drake arrives at the 2012 BET Awards at The Shrine Auditorium in Los Angeles. Taraji P. Henson and Regina King attend the 2012 BET Awards at The Shrine Auditorium in Los Angeles. ESSENCE Music Awards Diggy Simmons arrives at the 2012 BET Awards at The Shrine Auditorium in Los Angeles. 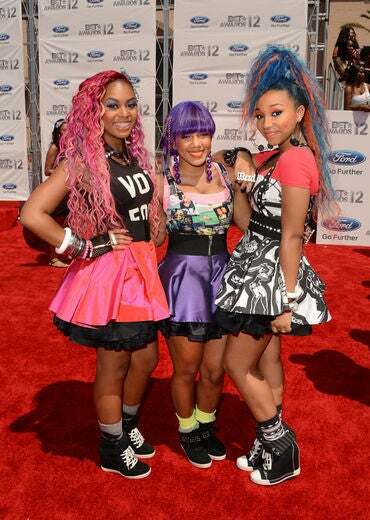 ESSENCE Music Festival performers The OMG Girlz arrive at the 2012 BET Awards at The Shrine Auditorium in Los Angeles. Chante Moore the 2012 BET Awards at The Shrine Auditorium in Los Angeles. Jaden Smith arrives at the 2012 BET Awards at The Shrine Auditorium in Los Angeles. Terrence J and Rosci Diaz attend the 2012 BET Awards at The Shrine Auditorium in Los Angeles. Willow Smith attends the 2012 BET Awards at The Shrine Auditorium in Los Angeles. 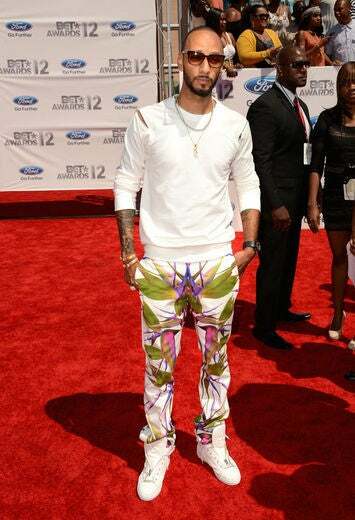 Swizz Beatz arrives at the 2012 BET Awards at The Shrine Auditorium in Los Angeles. Tamar Braxton arrives at the 2012 BET Awards at The Shrine Auditorium in Los Angeles. Jessica Reedy arrives at the 2012 BET Awards at The Shrine Auditorium in Los Angeles. Kenya Moore arrives at the 2012 BET Awards at The Shrine Auditorium in Los Angeles. Lola Monroe arrives at the 2012 BET Awards at The Shrine Auditorium in Los Angeles.